All our branded watches, jewelry and accessories come with the Manufactures International Warranty, this mean that if you have any problems with the purchased item you can take it to your nearest Authorised Dealer who will take care of the problems for you! 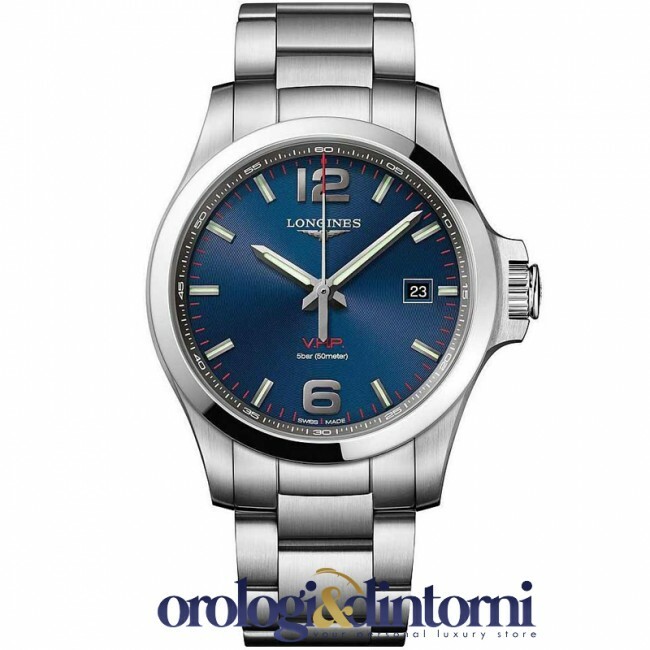 The watch is brand new, never been worn and it's perfectly working, full equipped by original Longines box, papers and manufacturer 2-YEAR warranty card. 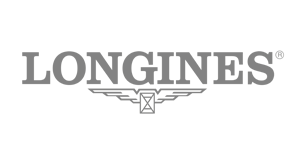 The international warranty card will be active by Longines authorized dealer on the day of your payment and it will be valid worldwide for 2 YEARS! All our watches come with the Manufacturers International Warranty, this means that if you have any problems with the watch you can take it to your nearest Authorised Dealer who will take care of the problems for you! 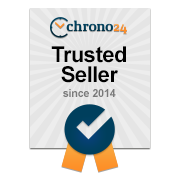 All the watches, jewelry and accessories sold on “Orologi & Dintorni” are 100% original, the very same items you would get at an authorized reseller. Despite us not being an authorized reseller of the brands we carry, all of our items come from authorized stores and are thoroughly inspected at our warehouses to check their quality and authenticity. Each item comes in its original packaging, with instructions manual, serial number and official warranty of the authorized reseller. All the new luxury watches, jewelry and accessories have 2 - and sometimes 5 – years of official warranty by the authorized retailer, stamped and dated the day of your payment. The warranty is valid worldwide: in case of any problem with the item within the warranty terms, you will just need to go to the closest authorized reseller with the warranty to access the reparation service. All pre-owned watches are checked with care and completely serviced. To guarantee the highest quality of the pre-owned products, we have a laboratory managed by qualified technicians that are authorized / certified by the most prestigious watch brands in the world. All watches have a 2-year guarantee; the guarantee from Orologi & Dintorni includes the name of the owner, a complete description of the watch, and a certificate of authenticity. If not otherwise described in the ad, the watches are shipped with an original box and guarantee. 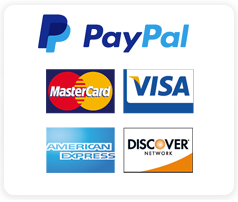 By choosing the PAYPAL payment option, you can directly pay with your PayPal account. Orologi & Dintorni reserves the right to ship the merchandise only to the address reported on the verified PayPal account. When clients place orders online, Credit Card details are forwarded to a protected online system which accept Visa, MasterCard, PayPal card, PrePaid card. Orologi & Dintorni Clients are guaranteed maximum Credit Card security because all transactions are processed using a secure server. Orologi & Dintorni CUSTOMER SERVICE AGENTS WILL NOT ASK FOR NOR ACCEPT CREDIT CARD NUMBERS AND/OR EXPIRATION DATES. Orologi & Dintorni advises Clients to apply for E-commerce security PIN CODES provided by Verified by Visa and SecureCode by MasterCard. For Credit Card and paypal payments Orologi & Dintorni can request to contact the Client’s bank for approval of the charges, or to double check the account information with Paypal. This verification process will delay immediate shipping, in addition "Orologi & Dintorni" reserves the right to request from new customers verify their identity by requesting copy of of identity card or passport . 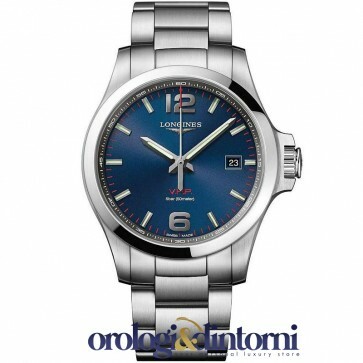 Orologi & Dintorni also reserves the right to ship the order only to the Billing Address. Orologi & Dintorni ships worldwide with DHL – the package is insured against theft and accidental damage until its destination. When you receive your order, we kindly ask you to thoroughly check the package before signing the delivery confirmation. 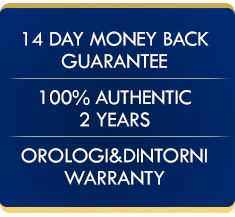 Our packages are carefully wrapped with "Orologi & Dintorni.com" tape. If the package seems tampered with, or if the tape is broken, you are kindly requested to sign conditionally the delivery confirmation, or to refuse it. In the event of a non-authorized signature or evidence of tampering, please immediately inform the carrier and contact us at customerservice@lorologiedintorni.com. All our clients placing an order are performing a business relation with Orologi & Dintorni and are therefore engaged to accept the delivery of their package. If the package is not delivered for reasons attributable to the client (wrong address, recipient constantly unavailable, wrong telephone number, etc. ), or if the client refuses the delivery, the shipping fee and any customs fee will deducted from the refund due. All our items are are available for immediate delivery and will be shipped within 2 working days from the payment confirmation. Orders and payments received during the weekend will be processed from the following Tuesday morning. Orologi & Dintorni is not accountable for any delay due to customs operations and controls, or to circumstances beyond our control. 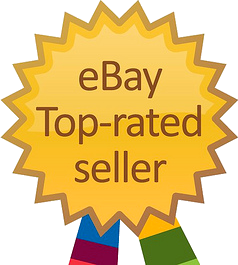 For ours European Union Customers, the merchandise is shipped with invoice, and all the prices include the Italian TVA. Our European clients won't need to pay any further tax or customs duty – the reported price will be the final price of the item(s). Our products are intended for the end user. An end user is a natural person buying for reasons outside his/her activity or job.